Voldemort Ransomware is a cause of a big headache for our malware researchers. At this moment, this infection does not seem to work, but we are working hard to look for versions that would work. Although the current version of this infection does not encrypt files, which, of course, is good news, it might slither into your operating system and cause some chaos. If you ignore this infection and its components, you might regret it later. For all we know, the malicious executable file could be updated without your knowledge and start encrypting your personal files. Therefore, if the ransomware has slithered in, we suggest that you delete it as soon as possible. Read this report first to find out more about this threat, and then follow the guide below to remove Voldemort Ransomware. If the suspicious Voldemort Ransomware has attacked, you must know why it was given this name. As soon as the launcher is executed, the malicious ransomware covers your entire screen with an image of Voldemort, which is a well-known character in the Harry Potter series. According to our research, this infection uses the image to distract you. It appears that the encryption of your personal files should be performed while this image is covering the screen. After a few moments, the image is taken down and explorer.exe (Windows Explorer) is terminated to disable Windows GUI (graphical user interface). If this process is killed, the Taskbar will disappear, as well as all windows that are open. Basically, this infection will trick you into thinking that your operating system has been paralyzed. Of course, you can add explorer.exe back to the active Processes list, and we show you how to do that in the guide below. 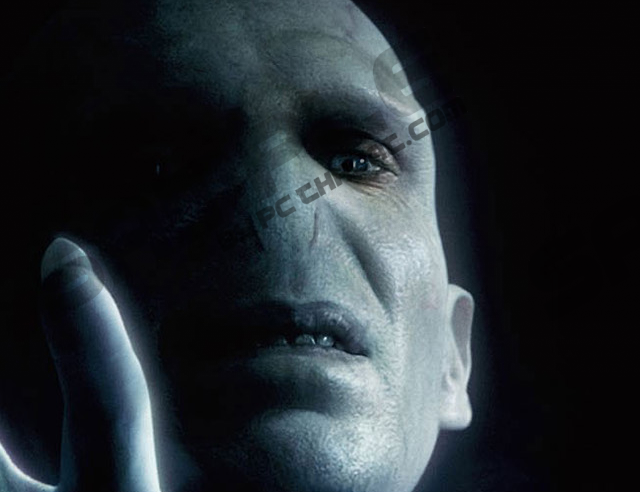 Right now, Voldemort Ransomware is unable to decrypt your files, and our researchers have two scenarios why this might be happening. It is possible that the server of this infection is down, and it cannot receive any commands. In another scenario, this is the beta version of the malicious infection, and its developers are still testing it. Even if that is the case, you should not underestimate this devious threat. As mentioned before, the malicious files could be used in an unpredictable manner. And when it comes to servers, they could be up at any point. Therefore, if you are one of the lucky users who have encountered a ransomware and who have not suffered the encryption of the personal files, you need to act fast and delete Voldemort Ransomware from your operating system. We are sure that you are ready to eliminate Voldemort Ransomware from your operating system. Well, there is one more thing you need to be aware of – third-party malware. As soon as you get rid of the malicious ransomware, do not rush to go back to using your operating system as if nothing had happened. Your operating system is clearly vulnerable, and it is very possible that other infections have slithered in. Although the ransomware is clandestine upon entering, it is very easy to spot. Unfortunately, most infections are very quiet and secretive, and computer users often fail to detect and delete them; sometimes for months on end. Therefore, as soon as you delete the ransomware, the first thing you should do is scan your PC with a legitimate malware scanner. If threats are discovered, take action ASAP. The first steps in our removal guide show how to restart explorer.exe, which is very important. After that, you will need to erase the malicious executable. This is the complicated part of the operation. If the ransomware was unleashed via a corrupted spam email attachment, you should be able to locate it. However, if you have no idea where this file is located, you might be unable to get rid of the infection altogether. If that is the case, do not hesitate to install an automated malware remover. After all, this tool will also eliminate any additional threats, as well as reinforce Windows protection. Needless to say, we would recommend the automatic removal option over the manual option any day. Simultaneously tap Ctrl+Alt+Delete keys on the keyboard to launch a menu. Click the File tab at the top and select New Task. Exit Task Manager and go find and Delete the malicious .exe file (in our case, it was named nagini.exe). Finally, scan your operating system to check for leftovers and other infections. Quick & tested solution for Voldemort Ransomware removal.